City of Austin metered street parking is available along E. Dean Keaton St between San Jacinto Blvd and Red River St. Meters are enforced Monday – Saturday, 8am – 6pm; parking is free all other times. Bike racks are located on the northeast corner of San Jacinto Blvd & 23rd St (aka Deloss Dodds Way). An Austin BCycle docking station is also located at that location. The VAC may be accessed via the entrance to the Art Building at the top of the steps adjacent to the bike racks. The VAC is accessible via Austin’s public bus system. Use the Trip Planner on the CapMetro website to determine the best route and departure/arrival times. Exhibitions and programs at the Visual Arts Center are wheelchair accessible. If you have any accommodation needs based on disability, please email info@utvac.org or call 512/ 471–3713 at least five (5) business days in advance. 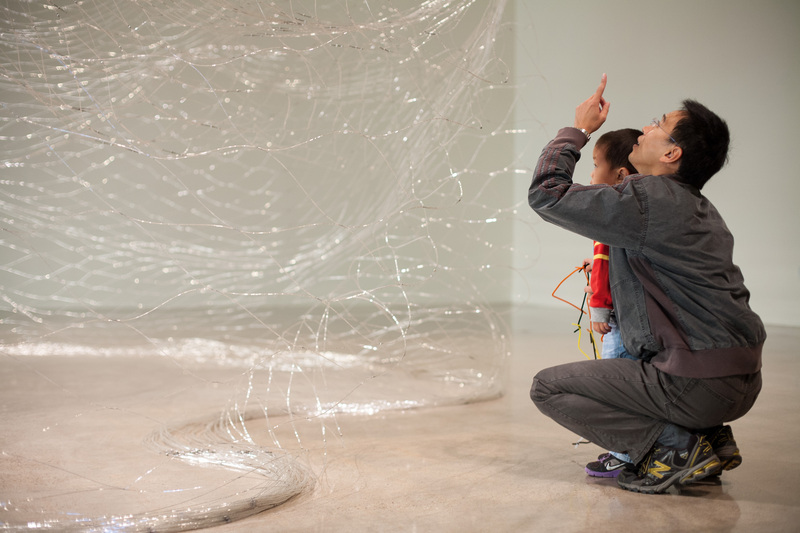 You may schedule a free, staff-led group tour of the VAC’s current exhibitions. Please email education@utvac.org or call 512/ 471–3713 to schedule a tour. Smoking is not permitted anywhere in the building, including in the courtyard. Backpacks, food and drinks are not permitted in the galleries; these items may be left at the front desk during your visit. Photography is permitted in the galleries; visitors may also draw and take notes using pencils.